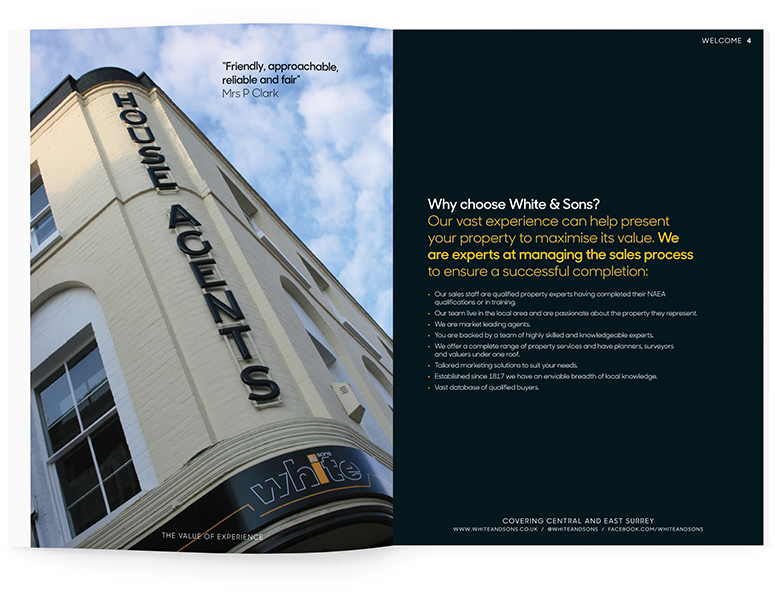 Established in 1817 White & Sons are an award-winning independent estate agent with offices in Reigate, Dorking, Horley & Oxted. The firm is a forward thinking business which uses cutting edge technology backed by 200 years of experience to assist with the buying, selling and renting process. Working with White & Sons marketing manager, Progression Design Agency were tasked with marrying together White & Sons heritage with their modern business thinking. 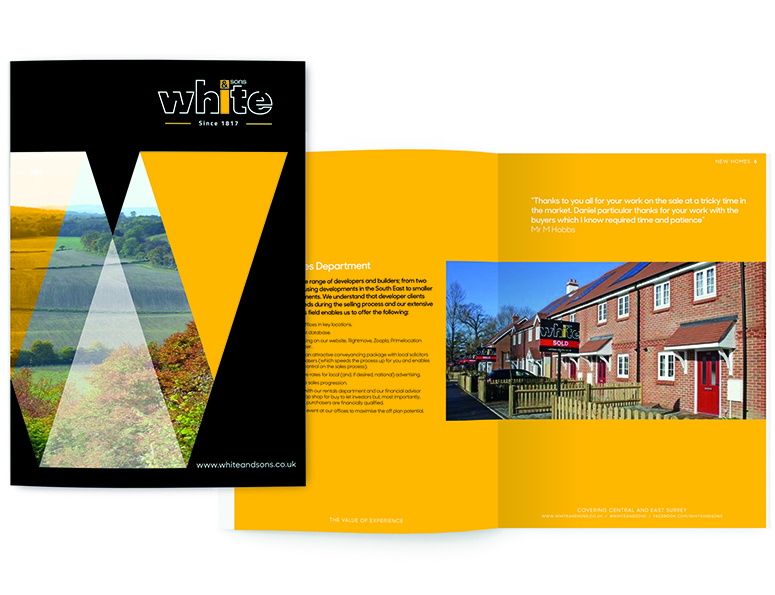 Initially we developed a graphical ‘W’ which helped shape the brochure and folder covers. 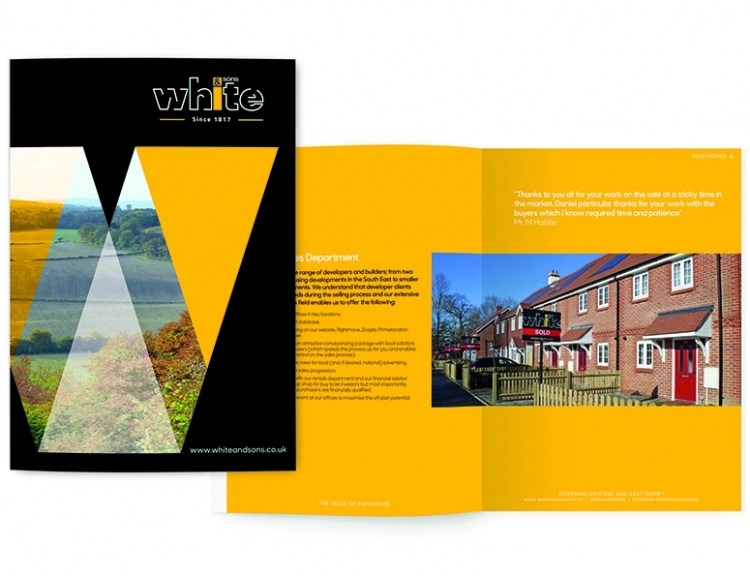 The ‘W’ is made up of White & Sons brand colour palette (the black and yellow – which they are well known locally for) along with images of the local, rural area, set in various washes to give both point of interest, along with creating areas to hold copy/contact details. 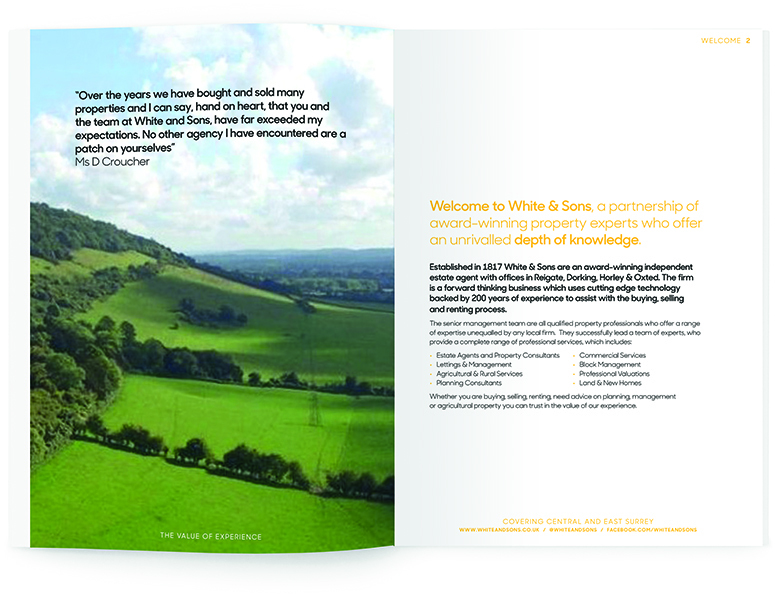 Having a strong brand, well-known in the local area meant Progression had to ensure the new brochures had a ‘White & Sons’ feel to them. This was achieved through the bold use of colour throughout the materials. Not having a brand font, Progression chose a modern, multi-weighted font that sits well with existing materials (such as the website), but gives the new folder and brochure a fresh look and feel. As well as the design, Progression also printed both the folder and brochure.